After you finished building your first process, you might want to run it and see the results. RapidMiner Studio offers many different ways to do this. The best way to start is to use Run Process Locally on a small subset of your data. This mode is used for debugging and short running processes. You can see the process progress on screen and also use Breakpoints to see intermediate results. After a breakpoint is reached you either have the choice to continue or to stop the execution of the current process. The option to stop is also available while the process is running. The process will then terminate as soon as possible. If you have a long running process that you want to execute occasionally, this is the perfect run mode for the job. This mode allows you to continue to work, while the process runs in a background. Breakpoints are ignored in this mode, so be sure that your process is working. Once submitted, it will appear in the Background Processes panel and can be tracked and managed from there. Note that to make use of all the available functionality in that panel, the process should be stored in the repository before running it. 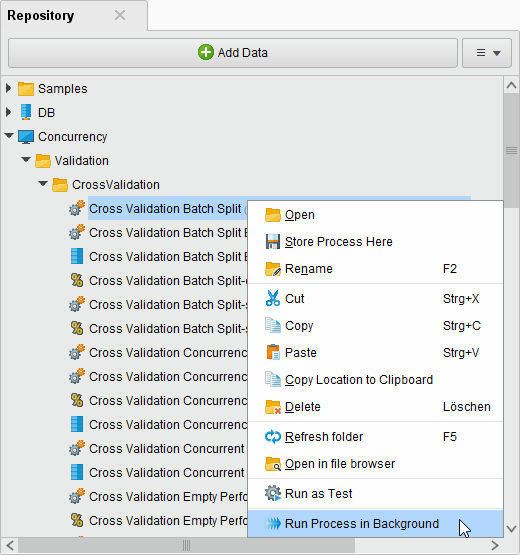 Right-click on the process name in your repository and select Run Process in Background. 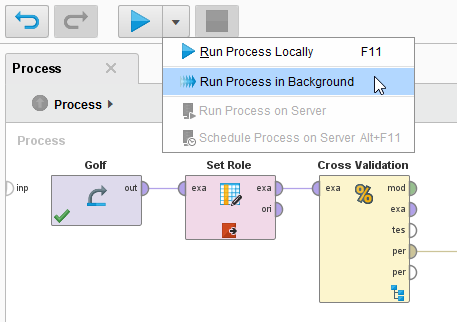 See How to Run a Process from RapidMiner Studio. 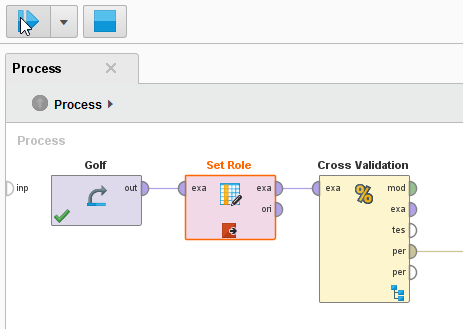 See How to Schedule a Process from RapidMiner Studio.